Long before computer labs and internet cafes people had to make due with coin-op typewriters. A New York restaurant has substituted machinery for waiters. The diner needs only to write out the order and drop the card into a slot in the table, as above (see PSM, Apr. 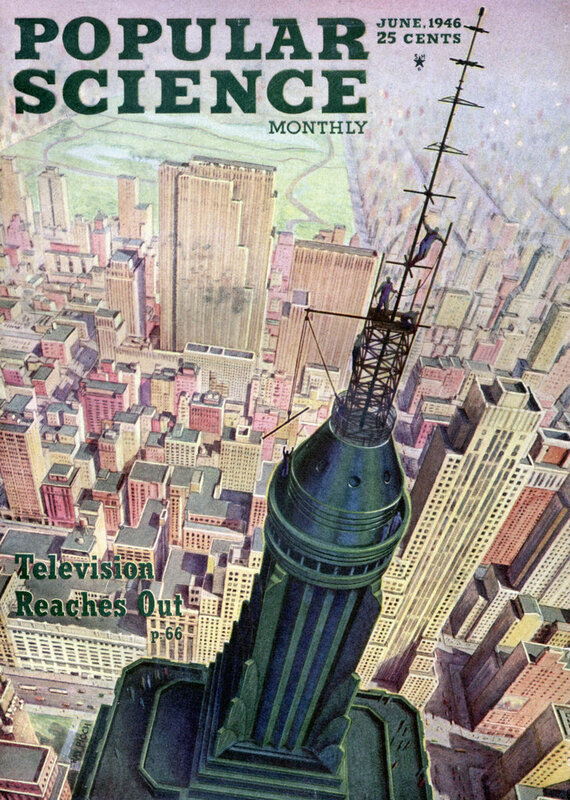 ’40, p. 126). In a basement kitchen the food is prepared and, course by course, served through the center of the table, which operates like a dumb-waiter (right) by hand or hydraulic power, compressed air, or electricity. The Transmeter Ticket Vending Machine prints, dates, records and delivers a railroad ticket in a few seconds. The commuter merely sets dial (right) to point of destination and inserts fare. Inventor R. V. Anderson, New York, plans trans-meters to sell tickets for theaters and sports events. This coin-operated typewriter will be available in hotel lobbies, railroad stations, and even drugstores. When a dime is inserted, the machine unlocks, setting a meter that measures 325 lineal inchesâ€”enough to fill a standard letterhead single-spaced and address an envelope or two. 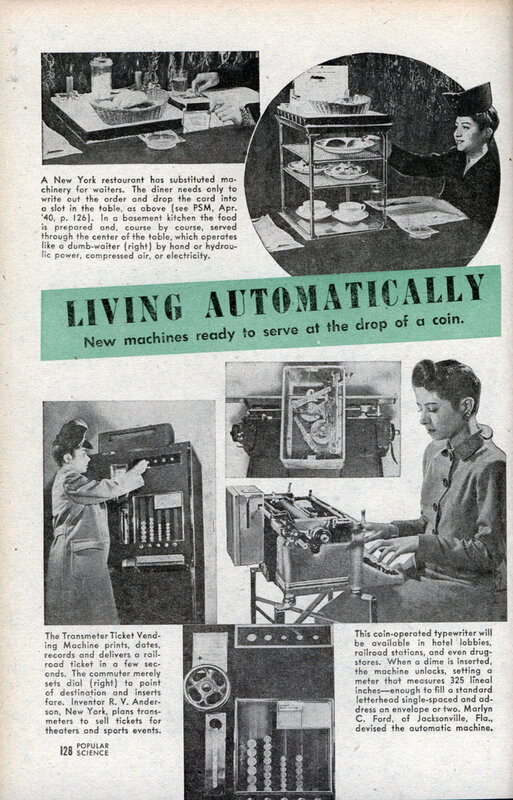 Marlyn C. Ford, of Jacksonville, Fla., devised the automatic machine. and weak, lousy, percolated coffee!